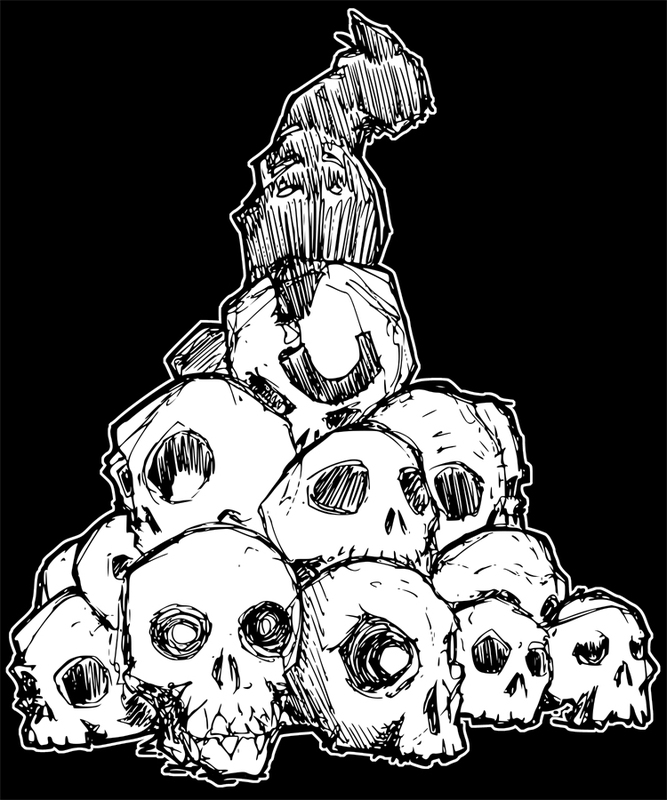 After the zombie apocalypse, the real winners will have huge piles of human skulls ... some with brains still inside. Humanity is doomed! For when the bombs drop and the infection spreads, the dead now undead cats will rise up and take their rightful place at the top of the food chain. 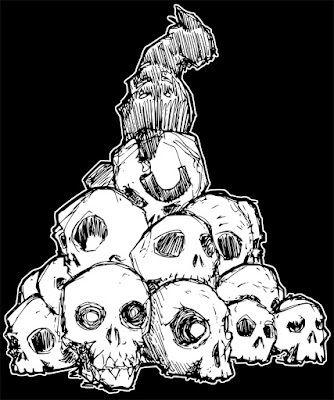 Original artwork still available in theHORDE Store . Have a fantastic weekend everyone ... for those that are Canadian and do the Thanksgiving thing, get stuffed! ;) All that turkey will make you a slower target for the zombie cats so eat up! !